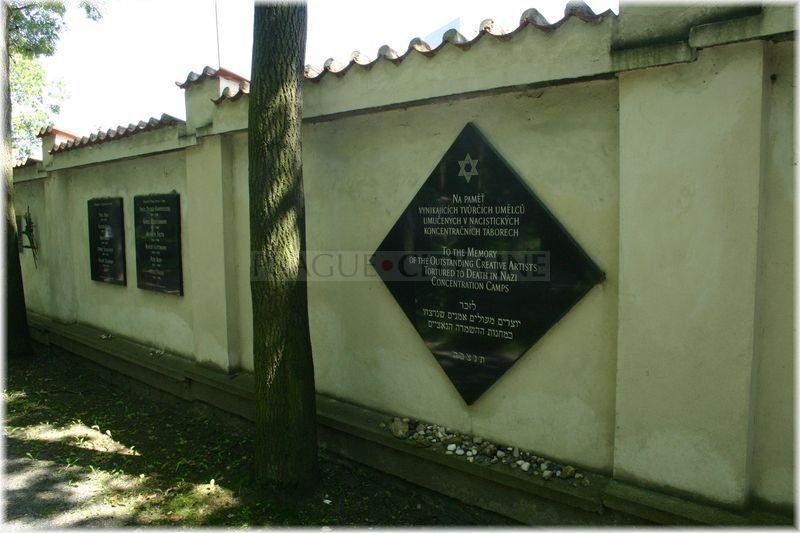 The New Jewish Cemetery situated between the streets Želivského and Nad vodovodem was founded in 1891 when the Old Jewish Cemetery located in the nearby Fibichova street had served out. 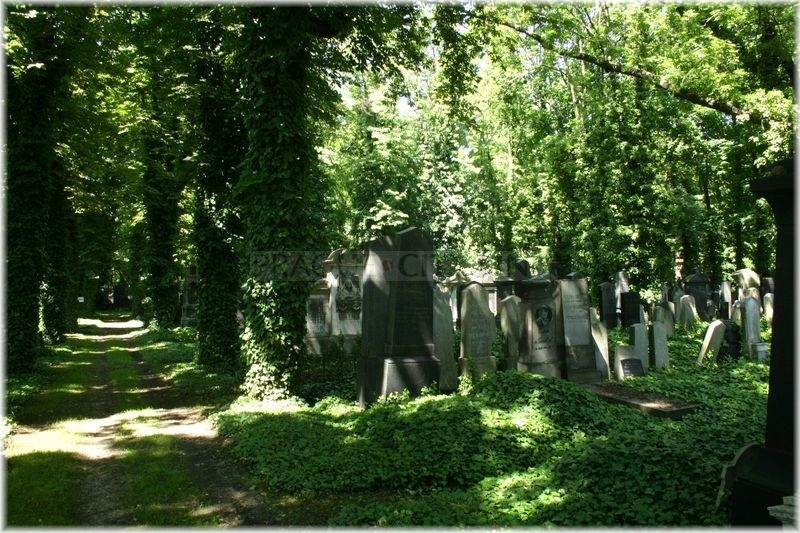 Concerning its size, this cemetery is more than ten-times larger compared to the Old Jewish Cemetery in Josefov. 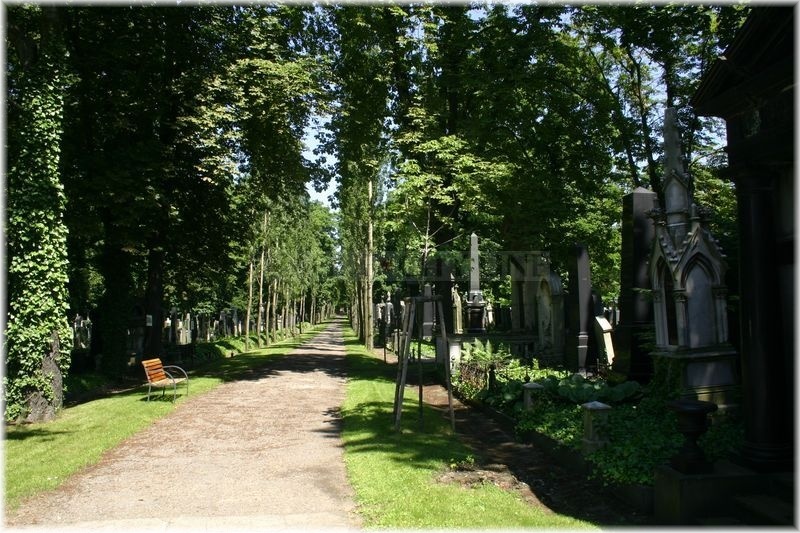 More than 25.000 people had been buried here. One of the largest graveyards of the Czech Republic is entered through a beautiful gate. 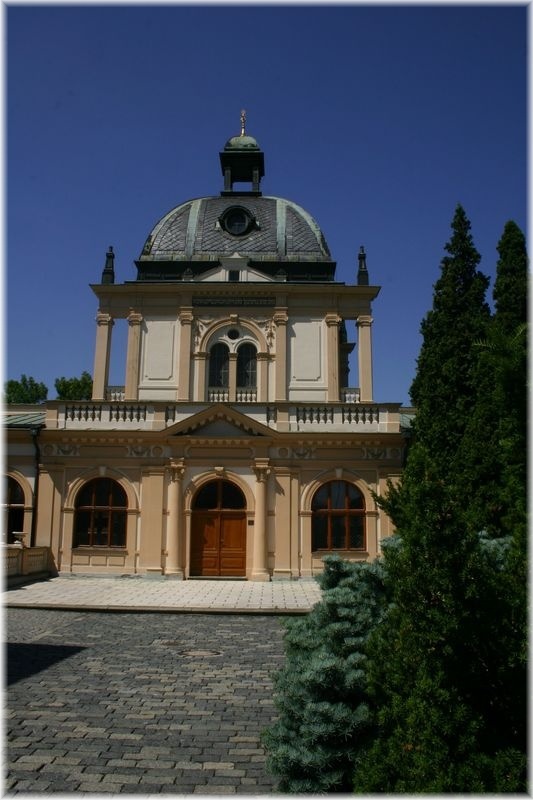 In the premises a considerable number of buildings had been constructed, mainly in the Neo-Renaissance style. It is in particular the Ceremonial Hall with an oratory, a house for purification for the burial purposes, administrative and auxiliary buildings and a protective wall around the graveyard complex. 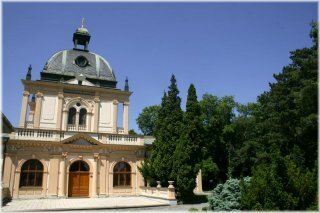 The Ceremonial Hall was designed by the architect Bedřich Münzberger. 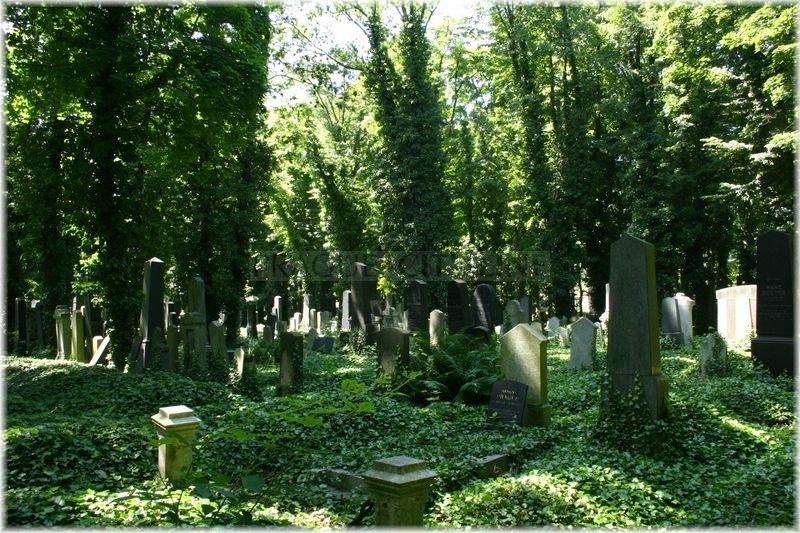 From the very beginning the cemetery was divided into certain graveyard fields that were gradually filled by graves. Each field is determined for certain groups of people. In the centre of the graveyard by the alley there is a field dedicated to the employees of the Jewish religious communities. 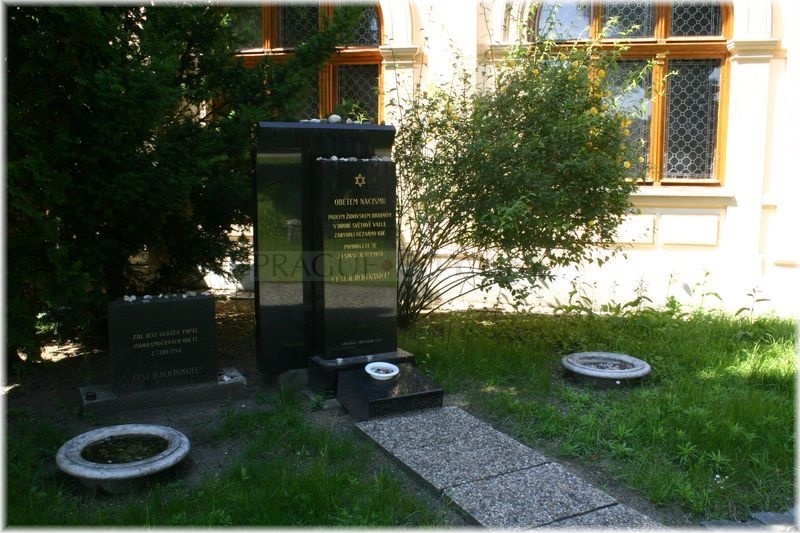 At the graveyard entrance you can find a field devoted in commemoration of the significant rabbis with a pride of place occupied by dr. Nathan Ehrenfeld or dr. Gustav Sicher. 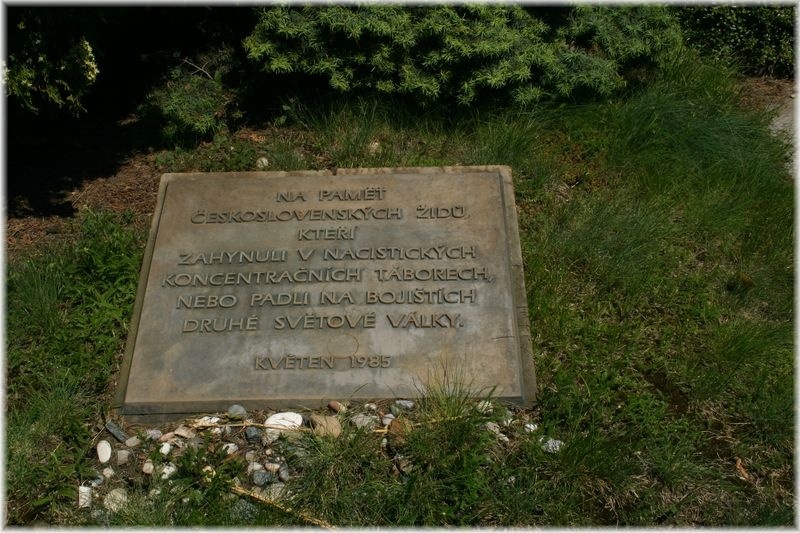 At the entrance there is also the memorial of Patria – the extinct community from Dolní Kralovice in shape of a common stone and a block-shaped Memorial to the victims of WW1 from 1926 embedded in two rectangular pedestals. 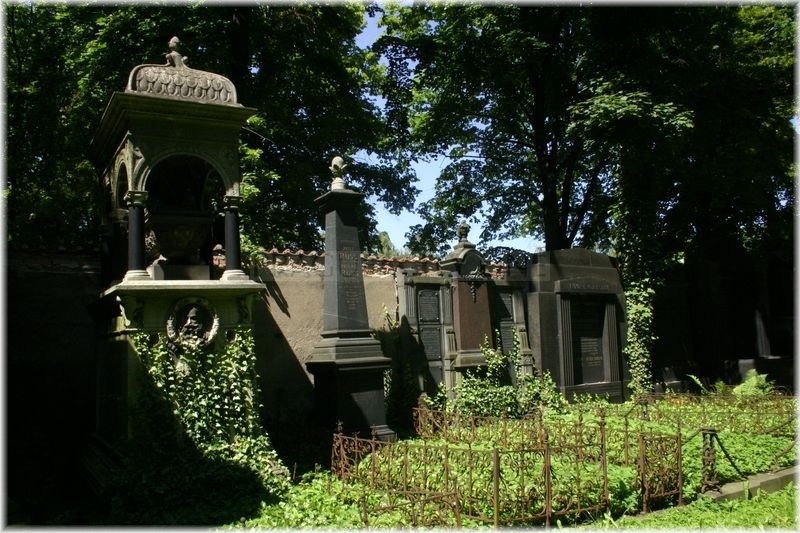 In the eastern part there are great family tombs placed along the walls, including the family crypts of Petschek and Waldes families. 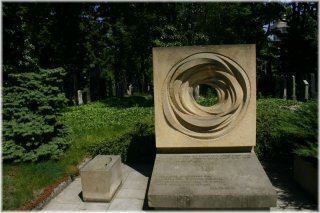 If you happen to pass the Waldes tomb you will notice two busts which rank among the last works of the sculptor Josef Václav Myslbek. 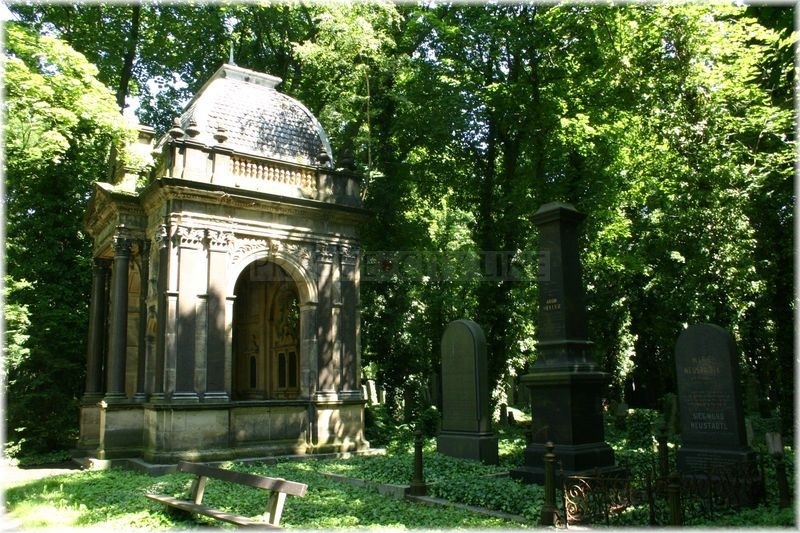 The gravestones come from different periods – for instance Neo-Gothic, Art Nouveau or Classicism. 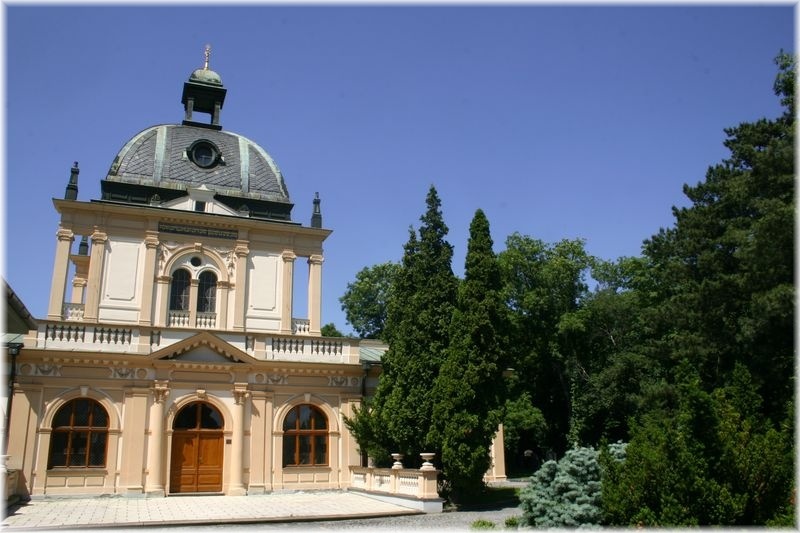 Some of them were created in workshops of the noted Czech sculptors and architects, such as: Jan Kotěra, Josef Zasch, Josef Fanta or Čeněk Vosmík. Burials still take place in the cemetery. 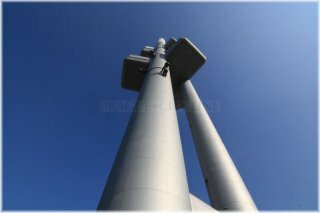 We can find several attractions in the premises of the cemetery. First of them is another monument – Memorial to the Czechoslovakian Jews victims of holocaust and revolt from 1985. 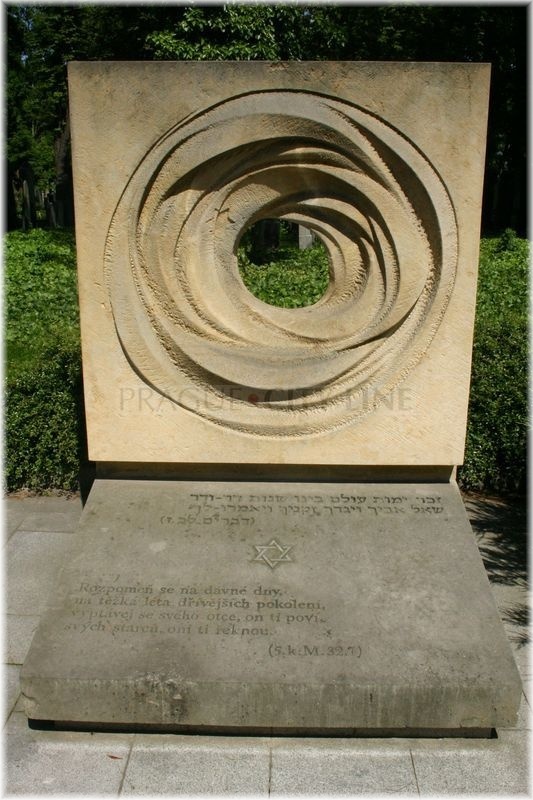 It is formed by elipses with the Star of David in the centre. 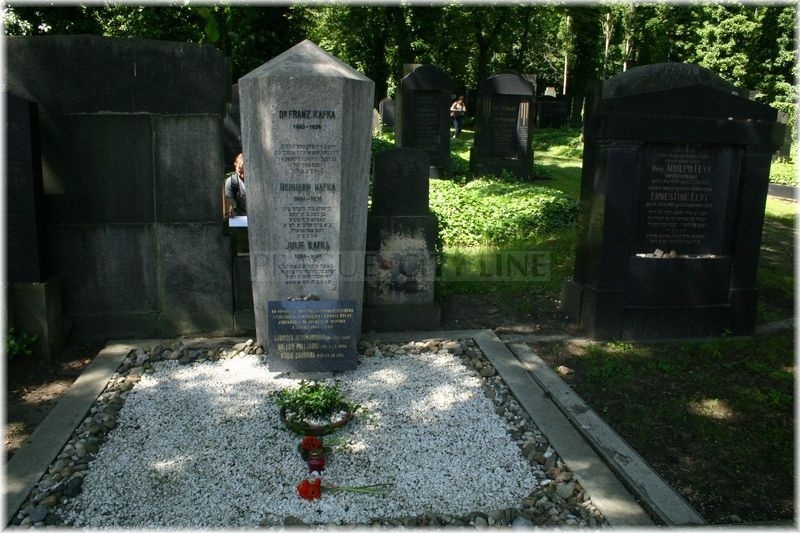 The second most visited place is the grave of the Prague´s Jewish writer Franz Kafka. His parents are buried here, too, under the tombstones No. 21 – 14 – 21. 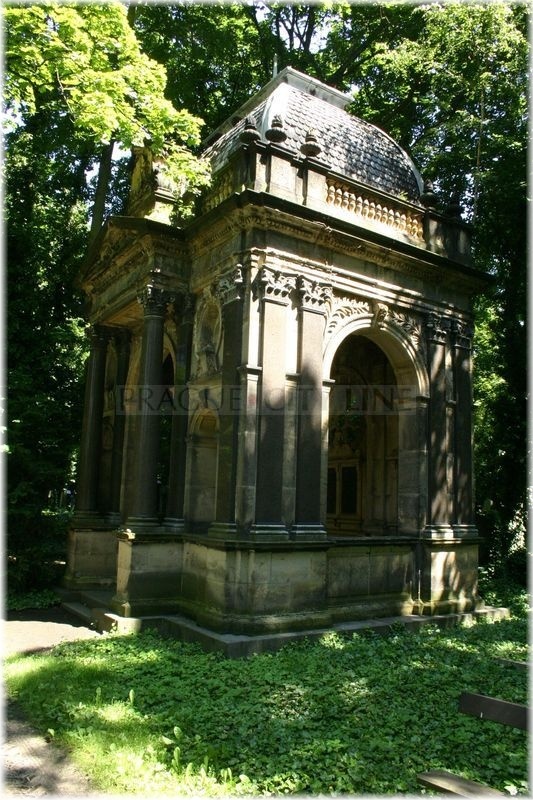 The author of the grave is the architect L. Ehrmann. 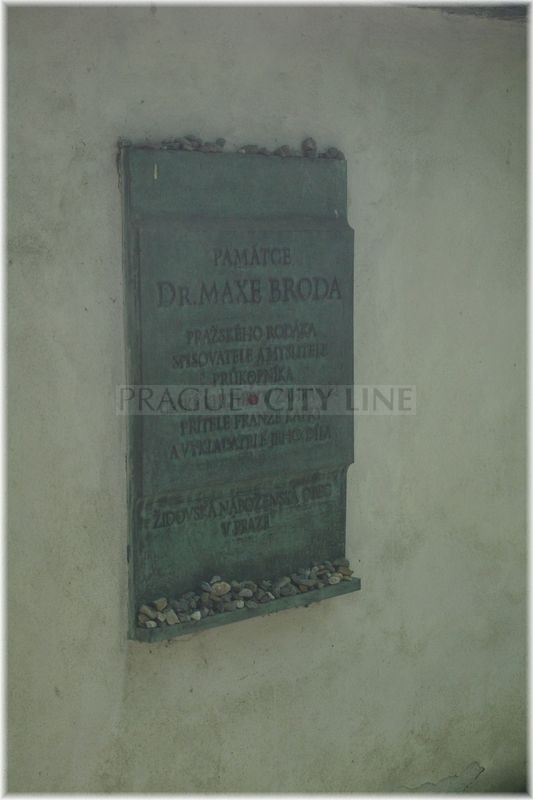 On the opposite wall we can see a commemorative plaque of Kafka´s friend and noted propagator of his work – nobody else but Max Brod, who is buried in Israel, though. 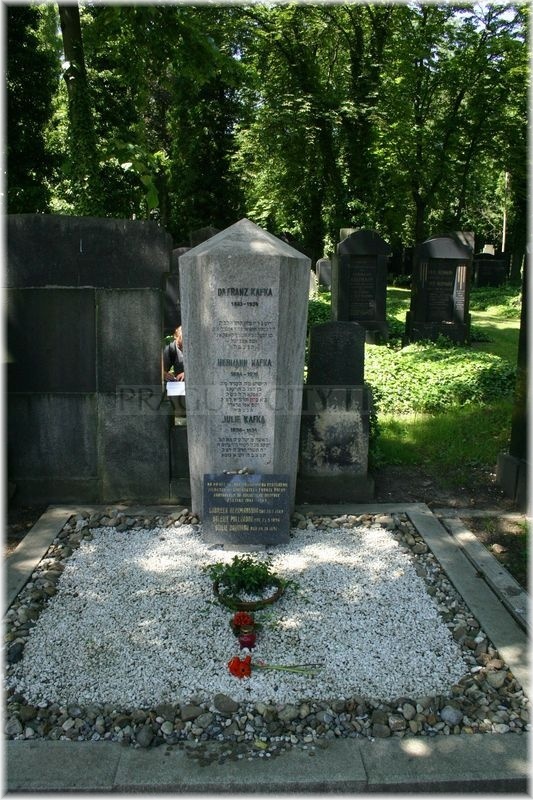 The cemetery ihas also become the final resting place of the writer Ota Pavel, and in the cinerarium the poet Jiří Orten is buried. The cemetery has namely a special permit to operate a cinerarium although the Jewish traditions restrict cremation of the dead. This possibility is esspecially used in case of burials of combined marriages. 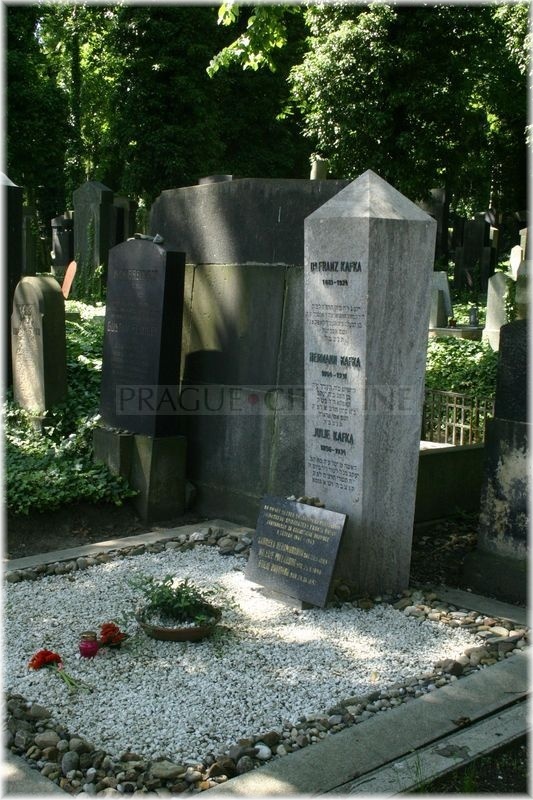 This Prague´s main Jewish Cemetery is a preserved cultural monument these days. Vinohradská street until you reach Jiriho z Podebrad Square (czech: Náměstí Jiřího z Poděbrad). Žižkov Television Tower ranks among one of the Prague´s view points rising 216 meters high above the whole Prague. After you reach its top you will see the entire city open in front of you – we believe you should definitely not miss this gorgeous view.